Rumors have been swirling that Amazon might try to break into the pharmacy business. On Monday, CNBC reported that Amazon (AMZN) has put its plans to sell and distribute pharmaceutical products on hold. An Amazon representative told CNNMoney that the company does not comment on rumors or speculation. Rite Aid (RAD) and Walgreens (WBA) each spiked more than 6% on the news. CVS (CVS) soared as much as 7%. Shares of drug distributors also rose: Cardinal Health (CAH) and McKesson (MCK) were up about 5% after the report came out. For investors, the news likely "alleviated at least an immediate threat" posed by Amazon's possible entry into the pharmaceutical space, said Morningstar analyst Vishnu Lekraj. Amazon's potential entry into the prescripton drug business has weighed on pharmacies for months. The specter of an Amazon pharmacy likely played in a role in CVS's decision to acquire Aetna (AET), and Walmart's (WMT) consideration of snatching up Humana (HUM). Last summer, Amazon quietly launched a line of over-the-counter private-label medicines manufactured exclusively for Amazon by Dublin-based Perrigo (PRGO). The Basic Care line, which has its own page within the Amazon site, offers a range of products, including ibuprofen and allergy medicine. Amazon is also trying to convince the medical community to buy rubber gloves, syringes, gauze and other products from its AmazonBusiness site, which launched three years ago. 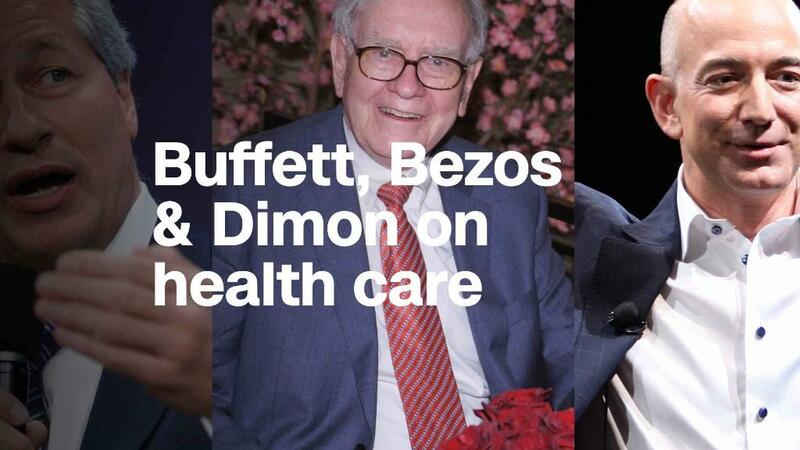 In January, Amazon, JPMorgan Chase (JPM) and Warren Buffett's Berkshire Hathaway (BRKA) announced that they are entering the health insurance business. Analysts at Leerink, a boutique investment firm that focuses on the health care industry, predicted that in 2017 that Amazon will "almost certainly" get into the prescription drug distribution business within the next two years. But it's not so easy to start selling prescription drugs, and some experts thinks investors fears have been overblown. Ultimately, Lekraja said, "the threat posed by Amazon wasn't as great as ... what the market believed." Charles Rhyee, an analyst who covers health care technology and distribution for Cowen, said it would be difficult for Amazon to break into the highly-regulated drug industry. "You really do expose yourself to greater regulatory scrutiny," said Rhyee. He added that Amazon would have to compete with long-standing relationships between pharmacies and health care companies. "The short answer is sure, of course they can [enter the pharmaceutical business] if they want to," he said. "The bigger question is, will they want to do it?" -- CNN's Tami Luhby and Paul R. La Monica contributed to this report.